Bryan College leadership surprised long-time supporters Glenn and Jackie Stophel by naming the soon-to-be constructed welcome center in their honor. The announcement came during the 11th annual Bryan Opportunity Scholarship Program fundraiser attended by more than 500 friends and supporters of the college. Mr. Stophel served as a member of the Bryan College Board from 1978 to 1986 and again from 1992 to 2010. He served as chairman of the board from 1996 to 2003 and later served as legal counsel to the college from 2010 to 2015. Presently he Stophel serves as Trustee Emeritus in honor of his valuable service to Bryan College. Glenn Stophel has not only provided leadership and support to Bryan College but also to the entire community, officials said. He currently serves as director and secretary-treasurer of the Clifton and Clara Ward Foundation, president and director of the Joe and Velma DeWitt Foundation, and, president and director of the Weldon F. Osborne Foundation. He is past president of the Kiwanis Club of Chattanooga, former director of the National Association of Christian Athletes, past chairman of the National Center for Youth Issues, and, former member of the Chattanooga Rotary Club. 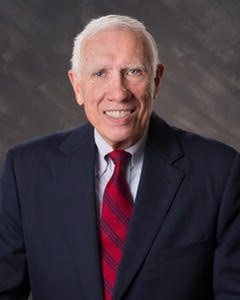 He has previously served as a member of the House of Delegates of the Tennessee Bar Association and was appointed by President Gerald Ford as a member of the first Board of Directors of the Legal Services Corporation in 1974. He received his J.D., from The University of Tennessee College of Law and his B.S. degree from Bob Jones University. He is a member of the Tennessee Bar Association, Chattanooga Bar Association, State Bar of Georgia, and the American Bar Association. Construction on the Stophel Center will begin in September with completion anticipated by July 2019. The two-story building will encompass 18,000 square feet and will be located at the top of the new entrance, making it the first building to greet arriving guests. Once complete, the building will house 25 offices including Admissions, Advancement, Marketing and Executive Offices, as well as, a medium-sized banquet facility. The Stophel Center is among the first of several capital projects funded through Bryan’s ‘2018 Making a Difference: Vision to Reality’ initiative and is estimated to cost $3 million. Bryan College Board Chair Delana Bice said, "Glenn’s leadership over the last four decades has brought us through both good as well as challenging times. He has led by example, remaining constant, consistent and committed to what is always in the best interest of Bryan College. It is with great appreciation that we honor Glenn and Jackie Stophel." Dr. Stephen Livesay noted, "Glenn has provided not only leadership for Bryan College but also to the law firm that bears his name. Chambliss, Bahner and Stophel has long been one of Chattanooga’s best-known firms with a reputation that was built by the reputation and character of Glenn and John Stophel and their partners. We are pleased to honor both Glenn and Jackie Stophel and look forward to welcoming visitors to our campus at the center that bears their name."